The price of oil has reached record lows and while this helps consumers like you and me save money when we buy gas there is something looming in the economy. With interest rates at all time lows and the price of oil continuing to drop we should start to see an economic recovery but that is not happening. Unemployment has not improved much this year and the numbers do not look any better in 2016. Since the government is not able to get the economy back into recovery they are going to print money like it is going out of style. The challenge with this is it will reduce the buying power of the money you have. What you will need to do is consider buying gold while prices are relatively low before things start to get bad. There are people out thre who purchase gold certificates but that is a piece of paper that states you own gold but did you know that in most cases there is no physical gold stored on your behalf? These papers are just promises and nothing more. 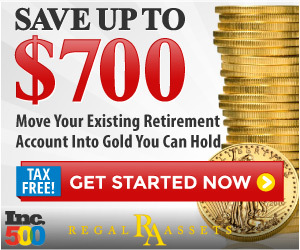 The only surefire way to protect yourself is by purchasing real gold from reputable vendors. There are many online vendors out there that sell gold and at competitive prices. You do not have to buy it all at one time, what you can do is each time you get paid from work you go and purchase some gold. Gold has been used as money for thousands of years and it will always have value so you can trade it in the future if something happens to the economy. Another benefit of owning gold is that you don’t have to worry about the government taxing you on it. Since you purchased the gold and keep it for personal use there are no forms to fill out or taxes to pay. In order to get good value for your money you will need to crefully creen the vendors that are selling the gold. The only way to do that effectively is by making sure they are here in the U.S.A. otherwise you will end up paying import taxes. After you have identified the domestic vendors that are selling gold you should compare the prices being charged. Most of the merchants will charge 10%-20% above spot price so be prepared to haggle if you are going to buy the gold in bulk. The sooner you start buying gold the more financially secure you and your family will be.